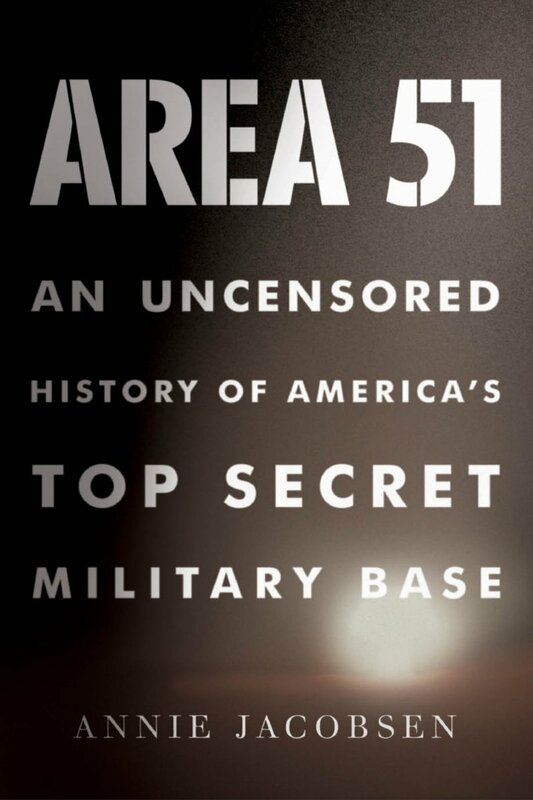 I just finished Annie Jacobsen’s Area 51, and wow, was it fascinating. I first heard her talk about it on NPR back in 2011 when the book was released and it stuck with me, so I finally picked it up. I’m not that interested in aliens or conspiracy theories, and thankfully this book isn’t either. It’s really more of a historical account of the top-secret military base, written by an investigative journalist who got some initial info, started digging, and wanted to tell the story. When H.G. Well’s War of the Worlds aired on the radio in 1938, people thought it was real and they freaked out. Outside observers were shocked by the powerful effect it had on our nation’s citizens: fear, panic, paranoia. During World War Two, the Nazi’s were at the forefront of technological and medical innovation. Their prized scientists were snatched up by the Americans and Russians at the end of the war, with their crimes quietly ignored/forgiven in return for spilling their secrets with their new employers. Among others, the Russians got the Horten brothers, who had been working on an aircraft that could hover. They also got Josef Mengele, the notorious concentration camp doctor who had conducted barbaric medical experiments on victims in a quest to learn more about developing a “pure race”. Area 51 was initially created by the U.S. government as a place to hide and study the details behind the Roswell crash of 1947. There really was a flying disc, but it wasn’t from outer space. The Russians had managed to turn the Horten’s idea into reality. There really were strange looking bodies, but they weren’t aliens. They were kids who had been altered by Mengele to look like aliens. Crazy, right? At the start of the Cold War, Stalin was trying to create a kind of “War of the Worlds” hysteria in Americans, only at a much larger scale. Our government hid this because 1) It didn’t want people to panic 2) It had no idea how the Russians had developed this flight technology and wanted to figure out how to do it themselves 3) It wanted to study the crash victims and do similar medical experiments in the name of advancing science/staying ahead of the Russians. Area 51 evolved into a place where elite minds with elite power and seemingly bottomless budgets conduct all sorts of medical, scientific, and technological experiments in the name of national security. These efforts have produced some of our nation’s greatest military advancements (such as the U-2 Spy Plane) as well as some of our greatest ethical failings. Jacobsen recounts story after story of reckless nuclear testing (it’s amazing our planet is still in one piece), lies told by the government, and, as mentioned earlier, our own Mengele-like history of medical experimentation. I picked up the book thinking, “Oh, this will be interesting.” And it was. But I walked away with the overall impression of, “Oh, this is sad.” And I think I could sense that same sadness/disappointment in Jacobsen too – even as she rightly acknowledged the security benefits we’ve gained as a nation from the advancements made through Area 51. After reading this, I thought “Every high school student should read this book as a part of their U.S. History experience.” It gives a small but important glimpse into how powerful certain parts of our government are and how easily they can operate with impunity. Who knows if we’ll ever get the whole truth, but at least we’ve got a crouton.